Were a cleaning machine… whatever it takes, we deliver. We are passionate about our people and providing great customer service… our employees tell you why! 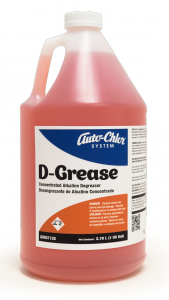 Auto-Chlor System, LLC is pleased to announce that D-Grease has been registered with the NSF International for Proprietary Substances and Nonfood Compounds. This means that D-Grease will now bear the NSF International logo containing the registration number and category codes for its use in food processing customer facilities providing the standards necessary to meet their operational needs and HACCP requirements. It certifies for these facilities that D-Grease has met NSF toxicology, odor potential and intended use classification for its registered categories. D-Grease will now carry the specific NSF International logo with its intended use classifications. Auto-Chlor System’s D-Grease offers the NSF’s standard and use guidelines to our valued food processing customers and assures compliance to the NSF International Registration Guidelines for Proprietary Substances and Nonfood Compounds. Registration status may be verified at any time via the NSF website at www.nsfwhitebook.org. 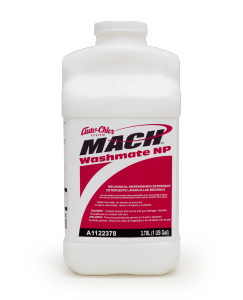 MACH Washmate NP – NSF Approved! Auto-Chlor System, LLC is pleased to announce that MACH Washmate NP has been registered with the NSF International for Proprietary Substances and Nonfood Compounds. This means that MACH Washmate NP will now bear the NSF International logo containing the registration number and category codes for its use in food processing customer facilities providing the standards necessary to meet their operational needs and HACCP requirements. It certifies for these facilities that MACH Washmate NP has met NSF toxicology, odor potential and intended use classification for its registered categories. MACH Washmate NP will now carry the specific NSF International logo with its intended use classifications. Auto-Chlor System’s MACH Washmate NP offers the NSF’s standard and use guidelines to our valued food processing customers and assures compliance to the NSF International Registration Guidelines for Proprietary Substances and Nonfood Compounds. Registration status may be verified at any time via the NSF website at www.nsfwhitebook.org. 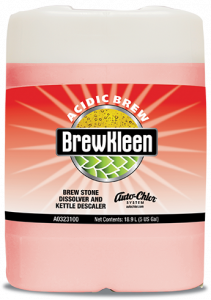 BrewKleen Acidic Brew – NSF Approved! 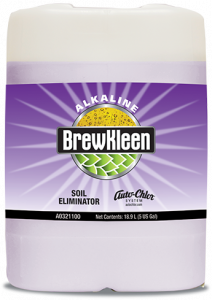 Auto-Chlor System, LLC is pleased to announce that BrewKleen Acidic Brew has been registered with the NSF International for Proprietary Substances and Nonfood Compounds. This means that BrewKleen Acidic Brew will now bear the NSF International logo containing the registration number and category codes for its use in food processing customer facilities providing the standards necessary to meet their operational needs and HACCP requirements. It certifies for these facilities that BrewKleen Acidic Brew has met NSF toxicology, odor potential and intended use classification for its registered categories. BrewKleen Acidic Brew will now carry the specific NSF International logo with its intended use classifications. Auto-Chlor System’s BrewKleen Acidic Brew offers the NSF’s standard and use guidelines to our valued food processing customers and assures compliance to the NSF International Registration Guidelines for Proprietary Substances and Nonfood Compounds. Registration status may be verified at any time via the NSF website at www.nsfwhitebook.org. 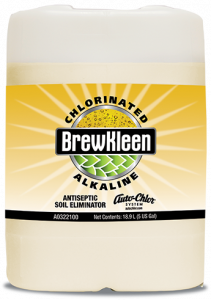 BrewKleen Chlorinated Alkaline – NSF Approved! Auto-Chlor System, LLC is pleased to announce that BrewKleen Chlorinated Alkaline has been registered with the NSF International for Proprietary Substances and Nonfood Compounds. This means that BrewKleen Chlorinated Alkaline will now bear the NSF International logo containing the registration number and category codes for its use in food processing customer facilities providing the standards necessary to meet their operational needs and HACCP requirements. It certifies for these facilities that BrewKleen Chlorinated Alkaline has met NSF toxicology, odor potential and intended use classification for its registered categories. BrewKleen Chlorinated Alkaline will now carry the specific NSF International logo with its intended use classifications. Auto-Chlor System’s BrewKleen Chlorinated Alkaline offers the NSF’s standard and use guidelines to our valued food processing customers and assures compliance to the NSF International Registration Guidelines for Proprietary Substances and Nonfood Compounds. Registration status may be verified at any time via the NSF website at www.nsfwhitebook.org. 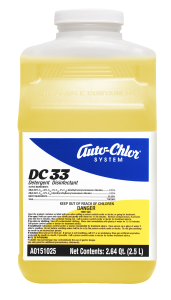 Auto-Chlor System, LLC is pleased to announce that DC33 has been registered with the NSF International for Proprietary Substances and Nonfood Compounds. This means that DC33 will now bear the NSF International logo containing the registration number and category codes for its use in food processing customer facilities providing the standards necessary to meet their operational needs and HACCP requirements. It certifies for these facilities that DC33 has met NSF toxicology, odor potential and intended use classification for its registered categories. DC33 will now carry the specific NSF International logo with its intended use classifications. Auto-Chlor System’s DC33 offers the NSF’s standard and use guidelines to our valued food processing customers and assures compliance to the NSF International Registration Guidelines for Proprietary Substances and Nonfood Compounds. Registration status may be verified at any time via the NSF website at www.nsfwhitebook.org. 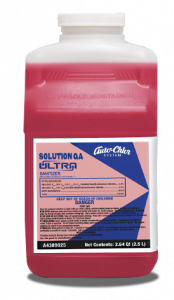 Solution QA Ultra – NSF Approved! Auto-Chlor System, LLC is pleased to announce that Solution QA Ultra has been registered with the NSF International for Proprietary Substances and Nonfood Compounds. This means that Solution QA Ultra will now bear the NSF International logo containing the registration number and category codes for its use in food processing customer facilities providing the standards necessary to meet their operational needs and HACCP requirements. It certifies for these facilities that Solution QA Ultra has met NSF toxicology, odor potential and intended use classification for its registered categories. Solution QA Ultra will now carry the specific NSF International logo with its intended use classifications. Auto-Chlor System’s Solution QA Ultra offers the NSF’s standard and use guidelines to our valued food processing customers and assures compliance to the NSF International Registration Guidelines for Proprietary Substances and Nonfood Compounds. Registration status may be verified at any time via the NSF website at www.nsfwhitebook.org. BrewKleen Alkaline – NSF Approved! Auto-Chlor System, LLC is pleased to announce that BrewKleen Alkaline has been registered with the NSF International for Proprietary Substances and Nonfood Compounds. This means that BrewKleen Alkaline will now bear the NSF International logo containing the registration number and category codes for its use in food processing customer facilities providing the standards necessary to meet their operational needs and HACCP requirements. It certifies for these facilities that BrewKleen Alkaline has met NSF toxicology, odor potential and intended use classification for its registered categories. BrewKleen Alkaline will now carry the specific NSF International logo with its intended use classifications. Auto-Chlor System’s BrewKleen Alkaline offers the NSF’s standard and use guidelines to our valued food processing customers and assures compliance to the NSF International Registration Guidelines for Proprietary Substances and Nonfood Compounds. Registration status may be verified at any time via the NSF website at www.nsfwhitebook.org. 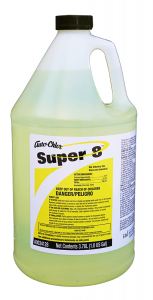 Super 8 – NSF Approved! Auto-Chlor System, LLC is pleased to announce that Super 8 has been registered with the NSF International for Proprietary Substances and Nonfood Compounds. This means that Super 8 will now bear the NSF International logo containing the registration number and category codes for its use in food processing customer facilities providing the standards necessary to meet their operational needs and HACCP requirements. It certifies for these facilities that Super 8 has met NSF toxicology, odor potential and intended use classification for its registered categories. Super 8 will now carry the specific NSF International logo with its intended use classifications. Auto-Chlor System’s Super 8 offers the NSF’s standard and use guidelines to our valued food processing customers and assures compliance to the NSF International Registration Guidelines for Proprietary Substances and Nonfood Compounds. Registration status may be verified at any time via the NSF website at www.nsfwhitebook.org. Machine Detergent 4x – NSF Approved! 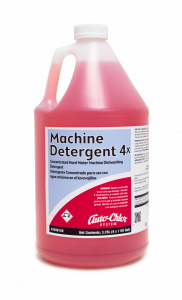 Auto-Chlor System, LLC is pleased to announce that Machine Detergent 4x has been registered with the NSF International for Proprietary Substances and Nonfood Compounds. This means that Machine Detergent 4x will now bear the NSF International logo containing the registration number and category codes for its use in food processing customer facilities providing the standards necessary to meet their operational needs and HACCP requirements. It certifies for these facilities that Machine Detergent 4x has met NSF toxicology, odor potential and intended use classification for its registered categories. Machine Detergent 4x will now carry the specific NSF International logo with its intended use classifications. Auto-Chlor System’s Machine Detergent 4x offers the NSF’s standard and use guidelines to our valued food processing customers and assures compliance to the NSF International Registration Guidelines for Proprietary Substances and Nonfood Compounds. Registration status may be verified at any time via the NSF website at www.nsfwhitebook.org. 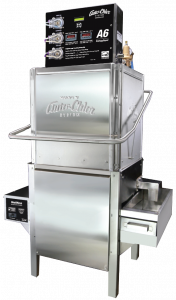 We are pleased to announce Auto-Chlor Systems’ newest innovation – the A6 Energy Saver commercial dishwashing machine. This Energy Star registered and NSF rated machine is capable of sanitizing at high or low temperatures, with a 45-second cycle that cleans, rinses and sanitizes up to 72 racks per hour. CLICK HERE to learn more about the new A6 Energy Saver design and features.